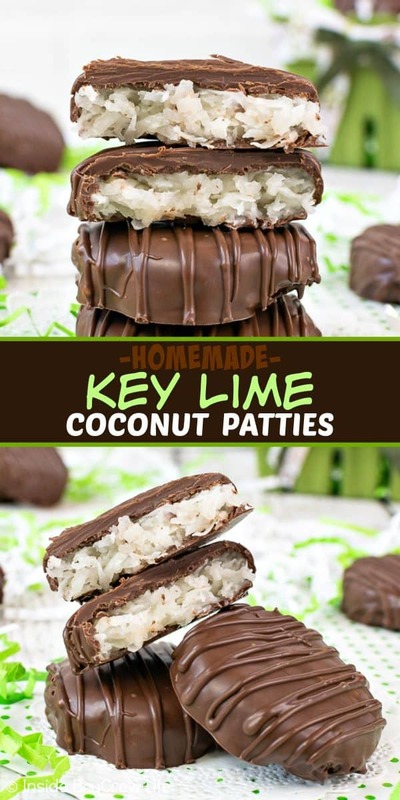 The sweet coconut and tart lime flavors in these Homemade Key Lime Coconut Patties will satisfy your sweet tooth. These easy candies come together in no time at all. Nothing says warm weather quite like a coconut dessert. Something about coconut and fruity flavors just make me think of everything tropical and about lying on a beach while the sun beats down on me. Years ago we used to live in the midwest. 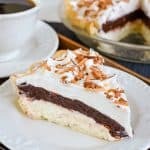 During the winter months when we were buried under a layer of snow and ice, I would make coconut desserts and dream of tropical places. Of course, now we live in Florida and those tropical dreams have become my current reality. Gotta love living where everyone else vacations. 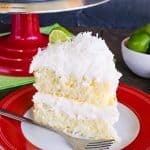 Even though I have not been a big fan of tart desserts for very long, I have always loved key lime desserts. I think part of that is because it reminds me of our honeymoon and trying chocolate dipped key lime pie for the first time. 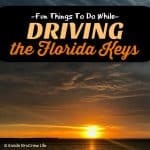 Last summer we took a road trip and discovered Fun Things To Do While Driving the Florida Keys. Finding and eating all things key lime was on my list. We enjoyed a few different pies from different restaurants and shops. Then when we were Exploring Key West in a Day, I had another slice of key lime pie. 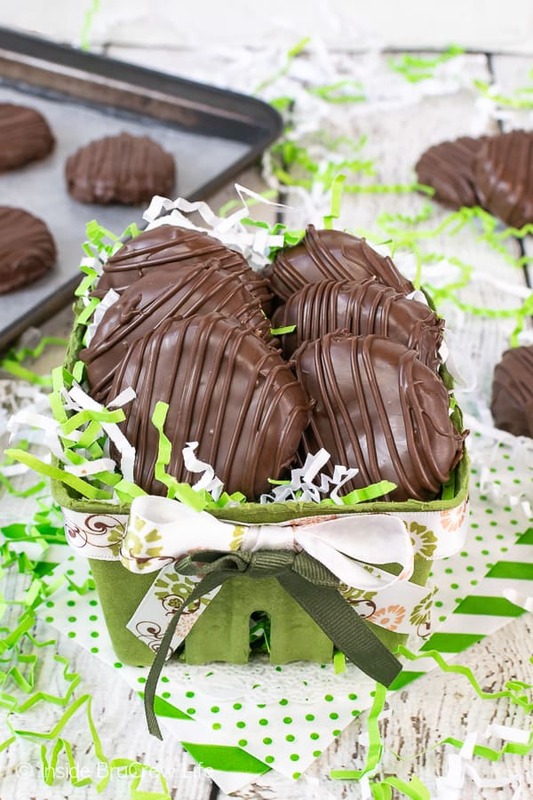 What can I say, chocolate covered key lime is a good combo. 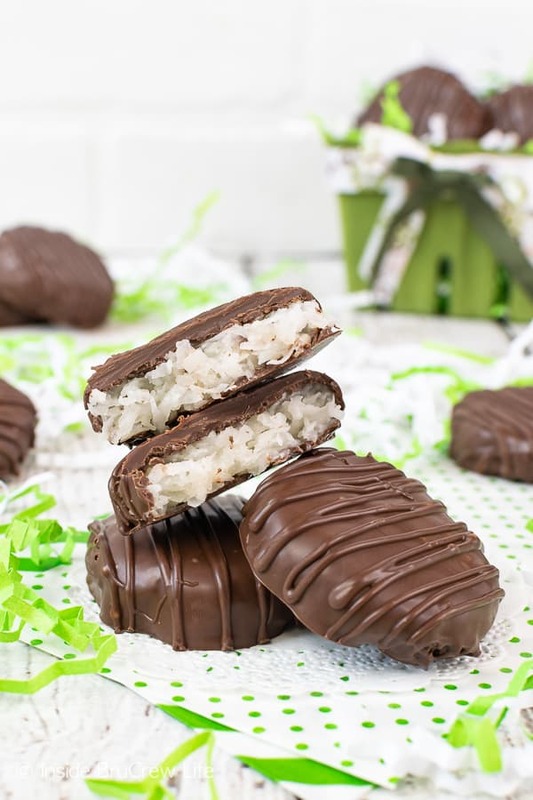 One of Florida’s most famous candies are the key lime coconut patties that you can find in most stores here in the sunshine state. Of course, I decided that it would be a good idea to make a homemade version, so that you can enjoy them no matter what state you live in. I used my recipe for these Coconut Cream Eggs and gave them a tropical twist with some key lime juice. The dark chocolate coating was a must. Although, I do think white chocolate would be good too, if you prefer that instead. 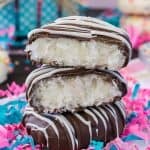 If you like Mounds or Bounty bars AND you like key lime desserts, you are going to love this easy homemade candy bar. 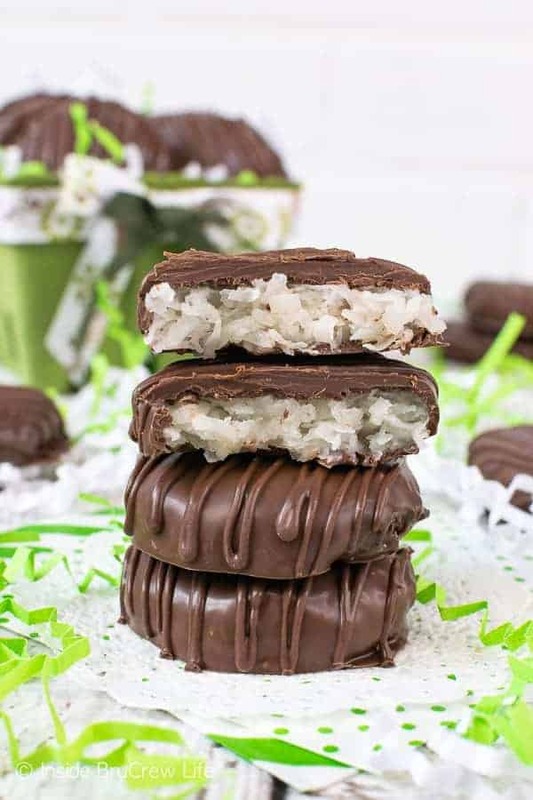 In no time at all, you can make and enjoy these easy coconut candies. 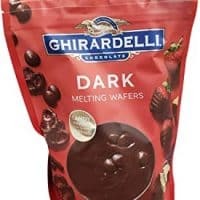 The sweet refreshing filling paired with the dark chocolate coating will have you reaching for another one in a hurry. Go ahead and freeze a few, so you can enjoy them later. Place the coconut, butter, marshmallow, sugar, and juice in a large mixer bowl. Beat on a slow speed until it is completely mixed in. Refrigerate the coconut mixture for at least 30 minutes, so that it doesn’t stick to your hands when you roll them. Roll the filling into 24 even balls and place on two wax paper lined trays. Press each ball flat into a two inch round circle. Refrigerate the trays for another 30 minutes. Melt the dark chocolate melts according to the package directions. 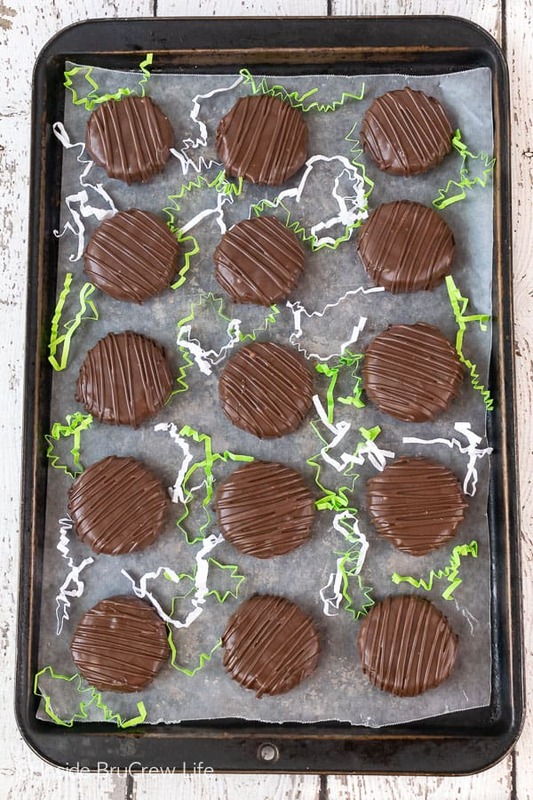 Remove one pan from the refrigerator and dip one coconut candy at a time into the warm chocolate. Place back on the tray to set up. Continue dipping until all the patties have been coated. You may need to reheat the chocolate from time to time if it starts to cool or set up. Reheat the leftover chocolate and spoon it into a plastic ziplock baggie and cut one tip off. 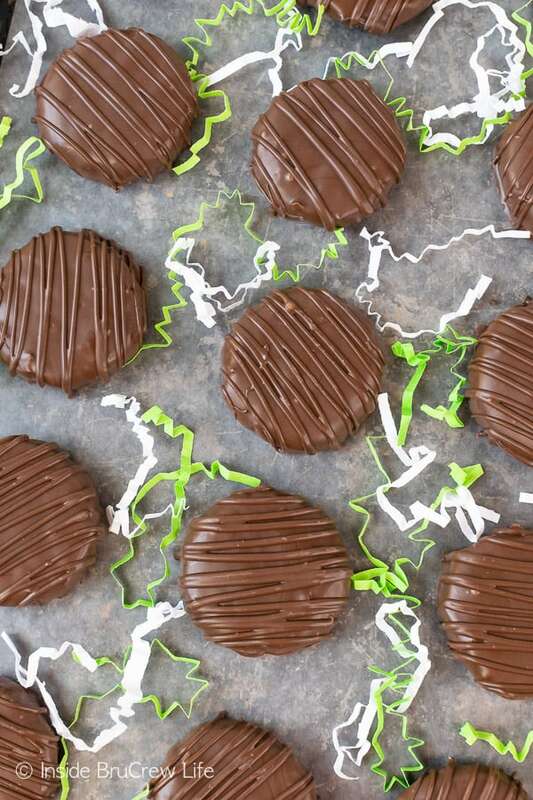 Drizzle the chocolate over the tops of the Homemade Key Lime Coconut Patties to make them look pretty. Again feel free to use white chocolate for the drizzles so that they stand out even more. 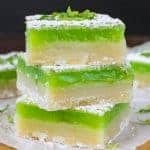 Store the key lime candies in a tightly sealed container on the counter if you will be eating them within a day or two. Otherwise, place them in a tightly sealed container in the refrigerator and enjoy one every day until you run out. These Blueberry Key Lime Cheesecake Bars are a delicious and cool way to enjoy dessert this summer. Blueberry swirls and citrus cheesecake make each bite amazing! A thick cookie crust and bright green key lime filling make these sweet and tart Key Lime Bars a must make recipe for dessert. This Sparkling Key Lime Fruit Punch is a refreshing drink to sip on during the heat waves that come through in summer. These Key Lime Coconut Macaroon Cookies will perk you up! Shredded coconut, key lime zest, and juice lend these simple cookies a tropical flair! 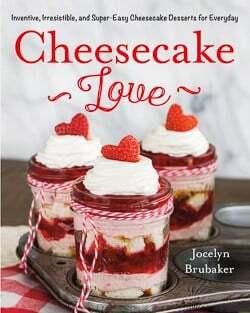 Layers of cake cubes, no bake cheesecake, and fresh fruit makes this Strawberry Key Lime Cheesecake Trifle an easy dessert to make for spring or summer dinners. 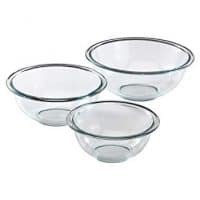 Line two pans with parchment or wax paper. Set aside. 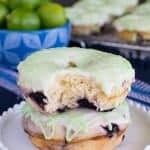 Mix together the coconut, butter, marshmallow cream, powdered sugar, and key lime juice until a soft dough forms. Refrigerate the mixture for 30 minutes. Roll into 24 even balls and place on the trays. Press each ball down into 2 inch circles. Refrigerate for another 30 minutes. Melt the chocolate melts according to the package directions. Remove one pan from the refrigerator and dip the patties one at a time in the melted chocolate using a fork and a spoon. Tap the side of the bowl when you take the patty out of the chocolate to remove excess chocolate. Place on the tray to set up. Continue dipping until all the patties have been covered. You will need to reheat the chocolate from time to time as it cools or sets up. Spoon the extra chocolate into a baggie and cut one tip off. 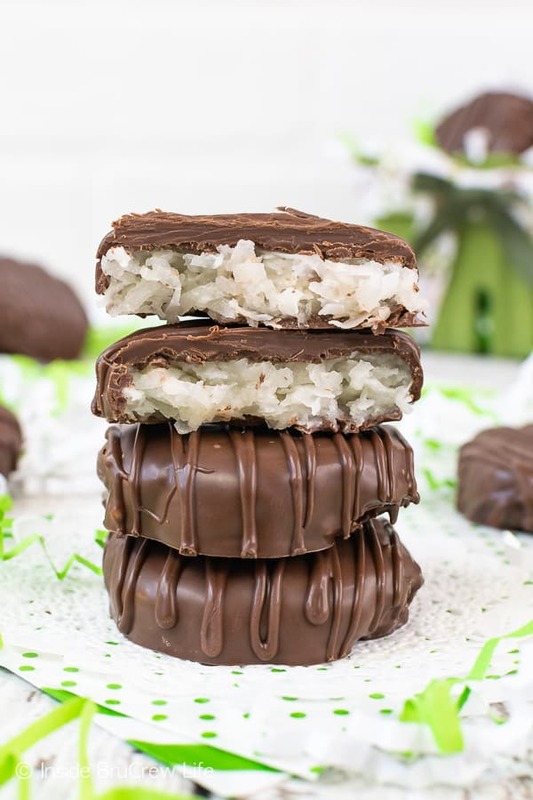 Drizzle the chocolate on the coconut patties. Let set. Store in a tightly sealed container on the counter if you are going to eat them with a day or two. Refrigerate the patties if you need to keep them for a longer time period. These look like that bounty choclate. Except they are in circle shape. Tasty they must be yummm! Oh my gosh those look fantastic! My kids really enjoyed these! Such an amazing treat! These are out of this world good! Never had anything like them before. Yum!! They are so pretty & so tasty!! Perfect for Easter!! These are the BEST!!!!! I’ve made them for a baby shower and everyone loved them! !